The perfect wall clock for any room. This glittering, 15" Plum Purple & Shimmering Silver Decorative Mosaic Wall Clock Adds Touches of Elegance to Any Decor Style. Hand-laid purple & silver glass mosaic tiles reflect light and provide the touch of color & glamor you crave. Featuring multidimensional texture; exquisite Plum & Silver Moroccan Fish Scale Mosaic Pattern glass graces the durable, handcart iron frame. The finished look is complete with bezeled border, showcasing delicate glass beadwork accenting. 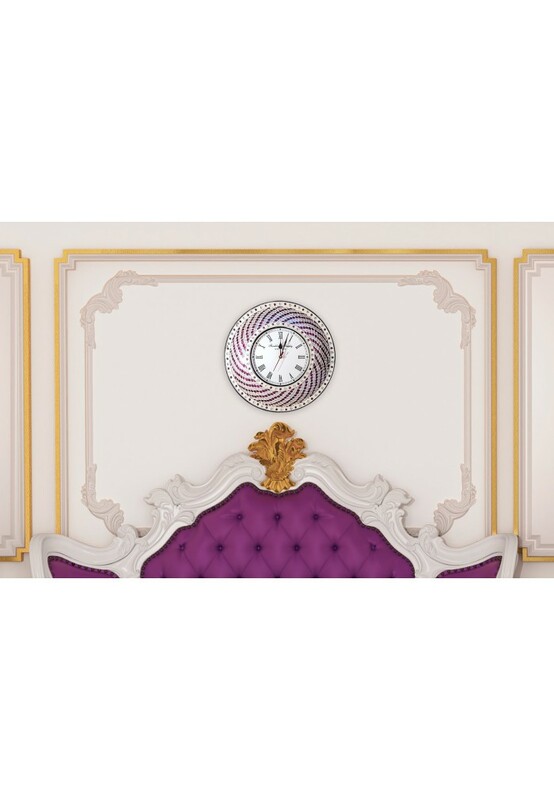 Our transitional style clock is handmade by professional artisans and features amazing attention to detail. Luxury wall art this unique is hard to find, and becomes an instant, collectable treasure. 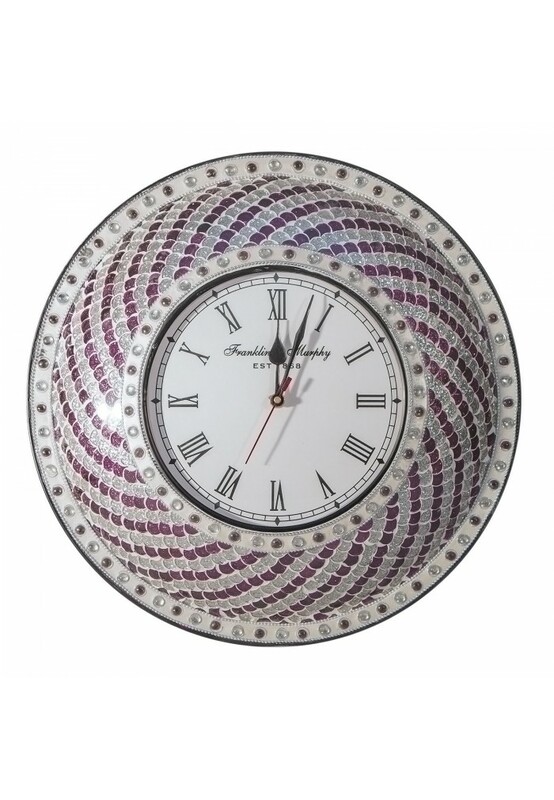 Shimmering Purple & Silver Jewel Tone Glass Mosaic Clock is a True Statement Piece, Intricate Artistry is Evident in Clocks Composition. 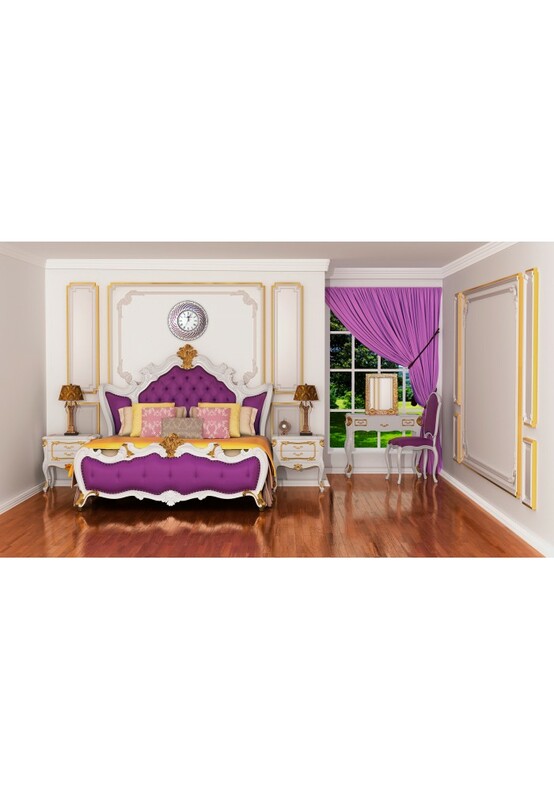 Each Piece is Artfully Unique, Bespoke Home Décor. Limited Quantities of this Designer Wall Clock. I just love this clock. Very unique pattern.